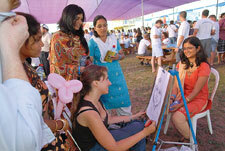 There is no doubt that some of the fastest growing Jewish communities around the world are those in East Asia. In the ten years since its inception, Taglit-Birthright Israel has started a revolution in the way young Jews connect to their Jewish identities, to Israel, and to the communities from which they come and it is now looking to develop connections with the Jewish communities of the Far East. Jewish history in East Asia has followed a similar pattern to Jewish history elsewhere around the world: Jews arrived there in order to escape persecution or in order to develop business opportunities. There is evidence of a Jewish community in Kaifeng from as early as 1,000 years ago, perhaps started by Jewish merchants passing through during their travels. The Jewish community of Shanghai developed in the mid-19th century and grew to roughly 30,000 at its height. Perhaps most famously, Chinese diplomat Dr. Feng Shan Ho saved thousands of Jews during World War II by granting them visas that enabled their escape to China and out of the hands of the Nazi regime. It is a mark of Western-oriented culture that China and its surrounding neighbors were long referred to as the ‘Far-East.' Even today, with the increasingly unavoidable reality that the nations of the region have a major impact on global events, there is still a prevalent attitude towards East Asia that views it as a distant entity, both geographically and culturally. This is evident in the under-representation of the region in many elements of global politics as well as among international corporations and non-profits. There has been much debate about what Napoleon meant when he uttered this phrase about of the region of Greater China. He may as well have said it about many of the nations of the region. Yet he would likely have done better to engage the region rather than to ‘let it sleep.' Ultimately, Napoleon met his demise after barely 15 years as a world leader, while East Asia is home to civilizations more than 4,000 years old that in many ways have only just begun to realize their potential. Even more than Napoleon in the early 19th century, those who refrain from engaging East Asia in today's 21st century society will find themselves increasingly sidelined. The region has become a major influence in all realms, from technology to finance and from literature to athletics - persistent Western attitudes notwithstanding. I was recently surprised myself, but also quite pleased, to learn that my own son was studying Mandarin. It is a language that, like engagement with the people of East Asia, was once considered exotic but is now essential for anyone operating on a global level. 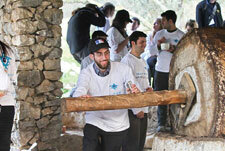 Taglit-Birthright too has shifted focus to the East and is looking for regional partners to join this project. No global approach in planning 21st century policy can afford to overlook the emerging importance of East Asia. 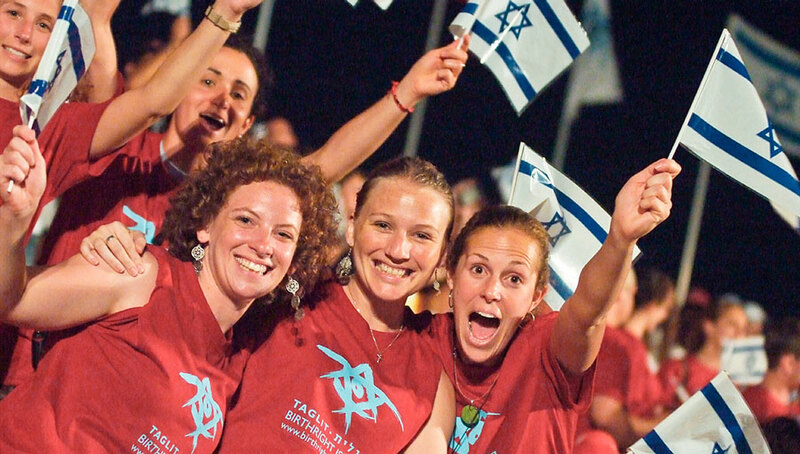 More than a quarter million young Jews representing over 54 countries around the world can count themselves as Taglit-Birthright Israel alumni. With this remarkable growth, the time is overdue to welcome the Jewish communities of Asia into what has become the most important educational project and the most rapidly growing project in modern Jewish history. 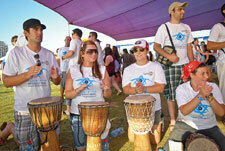 Taglit-Birthright Israel was founded a little over a decade ago. Our goal was to strengthen Jewish identity, the connection to Israel, and of equal importance, local Jewish communities. In so doing we sought to enrich societies around the world with Jewish communities. 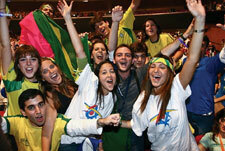 Brandeis University research shows that the educational impact of the trips has surpassed our wildest expectations. While past research had shown young Jews distancing themselves from their local Jewish communities, we are now seeing for the first time thousands upon thousands of young Jews looking to take responsibility for the future of their community and of their people. Mutual responsibility among young Jews has become popular - something that is particularly evident among young American Jews. 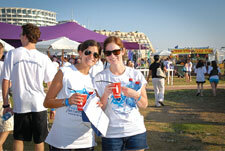 The groundbreaking concept that led to our tremendous success is the gift of a first-time trip to Israel. Any young person between the ages of 18-26 with at least one Jewish parent, who has never before been on an educational trip to Israel, is eligible for this no-strings-attached gift. Before Taglit-Birthright Israel was founded, only about 2,000 young Jews annually came to Israel for educational trips in this age bracket, but thanks to our trips that number has grown to 35,000. The results, at the end of our first decade, have been staggering: a quarter of a million alumni, 54 countries, and soon, more than 50,000 every year - representing a majority of the Jewish populations in the Diaspora. The numbers are impressive - but they are less important than the qualitative impact we have had in communities around the world, from the smallest to the largest. There are entire cities where one cannot find eligible young Jews who have not participated in Taglit-Birthright Israel trips - and I would venture to say that those communities have been strengthened immeasurably by it. We have also reached out even to the smallest communities in the farthest corners of the world - this past summer, for example, a group of 17 young adults from Suriname, an old South American Jewish community that has dwindled to 200 - traveled to Israel for the first time. 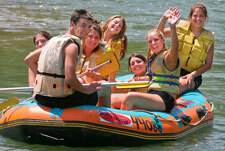 And yes, Taglit-Birthright Israel has yet to bring a group from China, Singapore, Japan, or any of their neighbors. Like the nations of East Asia, the Jews of the region have a unique perspective of the world, and I am confident that Taglit-Birthright Israel would offer them the opportunity to enrich their own communities and society as a result of the free trip. There can be only great benefit to both parties in the building of yet another bridge between East Asian and Jewish cultures -ancient societies that have become prominent players in the modern world. I look forward to the opportunity to expand our international project to this important part of the globe, and to strengthening the relationship between the Jewish people and our East Asian brothers and sisters. Gidi Mark is the International CEO of Taglit-Birthright Israel. Before 2008 he served as the project’s International Director of Marketing and Community Relations. Mr. Mark joined the project at its inception after leaving Israel’s Ministry of Foreign Affairs, where he served as a diplomat in New York, Germany and Turkey. If you are interested in additional information about the Taglit-Birthright program or are interested in becoming a partner of Taglit-Birthright Israel, please contact Yoni Heilman, Director of Worldwide Groups: yonih@taglitbri.com or +972-2-652-8222.